By Greg Hunter’s USAWatchdog.com John Williams of shadowstats.com put out an alert today (9/2/09). It read, in part,”Something Brewing in Systemic Solvency Crisis?” Part of what Williams does is give forecasts to clients, some of which are big companies and hedge funds. He bases his predictions on government statistics but not the way they are done now. Williams rebuilds government stats the way they were computed before they were distorted. In other words, the way government statistics are done now makes things look better than they really are. For example, the official unemployment rate stands at 9.4% , but if you compute UE as it was done by the Bureau of Labor Statistics (BLS) prior to 1994 it would be 20.6%. By the way, Williams predicts unemployment will reach 34% in 2 years! Williams says money growth is slowing which is probably why he thinks there is “no substance to economic recovery.” Slowing money growth equals big problems for the financial system and it will force the Fed to act again. So what will the Fed do? It appears create more money. Williams says the monetary base…”surged” at the end of August . Also, Williams thinks the reappointment of Ben Bernanke is another yellow flag. Even though there were rumors of replacing him, it just does not make sense considering the problems on the horizon. My take: There are plenty of shoes that will be dropping and it’s probably best to give the appearance of continuity and stability in the face of a new wave of financial turmoil. Finally, Williams thinks there is going to be a negative surprise with Friday’s (9/4/09) unemployment number. In other words, there is going to be a bigger unemployment number than expected. For the complete report and other accurate recreated government statistics, subscriptions are available at John Williams’ site: http://www.shadowstats.com/ I did not get paid to write this article or to push shadowstats.com. I just think Williams knows what he’s talking about and backs it up with facts. What shadowstats.com does is something you will not see much of in mainstream media. 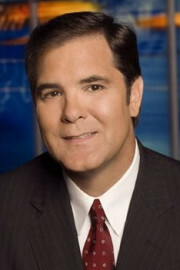 John Williams has appeard on network and cable TV and has been quoted in many national publications.